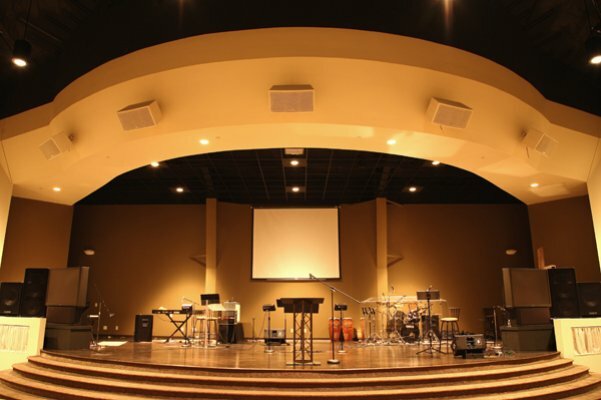 When the Abiding Word Church of Sterling, Illinois, decided to build a new facility, they partnered with Key Builders’ design-build construction management services to create a church that would inspire. Q: Why did you select Key Builders for your new church construction project? A: We spoke with six or seven contractors in the area and really did our due diligence. We ran references and came out with Key and another company. Key was also the low bid on the initial bid. But we heard over-the-top positive recommendations on Key, so we went with them. They saved us in so many different ways. They saved us money. They saved us time. They saved us heartache. Q: What are Key Builder’s best qualities? A: They saved us in so many different ways. They saved us money. They saved us time. And they saved us heartache. They watched out for our best interests. Key was a safety net to us. They always had our best interests at heart. The people at Key Builders are good, honest people. They go to the greatest of lengths to keep their word. As a pastor, that was refreshing to me, because sometimes people think that they can take advantage of us because we’re nice people. But it was never that way with Key. The people at Key Builders became like family to our church. It was all around a positive experience for us. It’s not always just about money. It’s about pride in your work, seeing a job to the end. I never felt like this was just another job for Key. It’s not always just about money. It’s about pride in your work, seeing a job to the end. You can build something really well, but if there is ever a problem, Key will fix it. We know, because they have been there for us. They partnered with us. That is a key word. Key Builders looked at this project and said, “This is our project, and we’ll help you get through it and get it done right.” It almost felt like they considered this their church. You can build something really well, but if there is ever a problem, Key will be there to fix it. We know, because they have been there for us. They have a great sense of responsibility. In talking with other pastors and leaders in other churches, I hear horror stories. The architects and contractors don’t take responsibility and point fingers at each other. But Key always stepped up and took care of problems, even when it was to their detriment. Q: Does Key Builders do quality church construction? A: Sometimes you can spend a lot of money, and it still looks cheap. With Key it was quality through and through. They paid attention to detail. Key came through for us. It says a lot about Key and their organization. Some people talk about within budget and on time, but our biggest concern was that it be quality work. We want to be here a century from now. We wanted the wow factor when people come in. We had 800 people for the open house and 600 people for the first service. We placed greeters at the front door because people would step in, look up and then stop in their tracks, because they were in awe of the church. Q: Did Key Builders save you money? A: Yes. They did value engineering for us when we found the project was over budget. Thanks to Key’s recommendations, we saved tens of thousands of dollars. Q: Certain parts of this project were managed as a design-build construction process with Key Builders. What was that like? A: Key would come up with design solutions, we would run it by engineers, and then do it. For example, Key’s redesign for the lobby ceiling opened up that area and saved us $20,000. For the stage in our church, we asked Key Builders to provide us with some design options. They brought in designers and engineers and put together a plan. We loved what they came up with, so we gave them the go-ahead to build it. Now our stage looks like a Broadway theater. Q: How was Key Builders when it came to communication? A: We would have weekly meetings with Key Builders at 8 a.m. every Thursday. There was always a free flow of communication, and we could ask anything at any time. I never wondered what was going on. I’m a preacher, I am not mechanical. I never got the feeling from anyone at Key that any question was stupid. They would make sure that they would answer as thoroughly as possible and to make sure that I understood. At first I was a little hesitant, but after a couple of months I thought, this is our project, and I’ll ask anything that I want to ask, and Key always got me the answer. Q: Would you use Key Builders again? A: We’ve already decided that when we build Phase II and Phase III of the plan, we will go with Key. Period. Project Info | More Testimonials | Why Choose Key Builders?